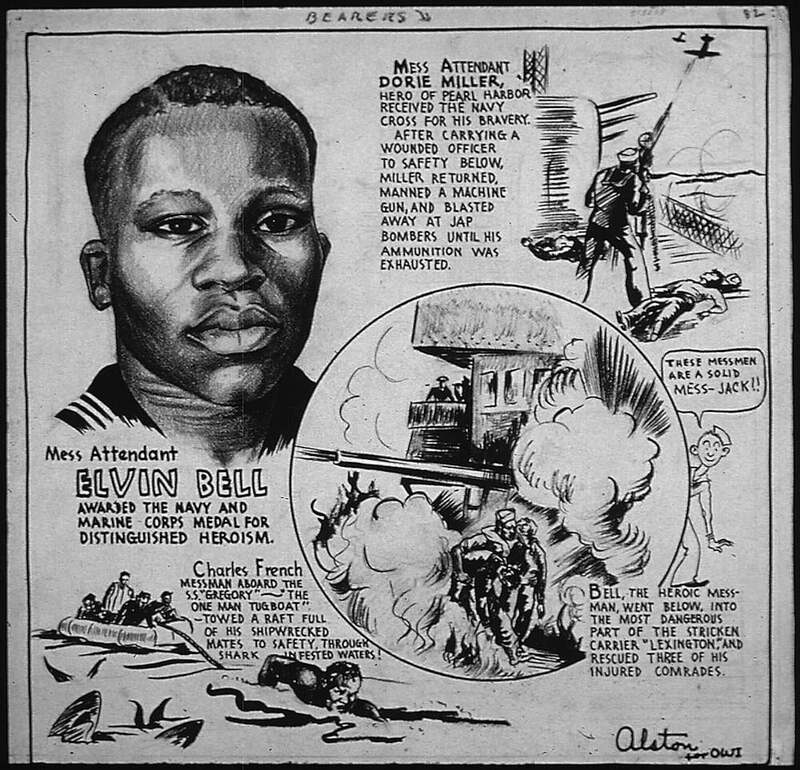 Black History: Charles Alston’s biographical cartoons for the Office of War Information. 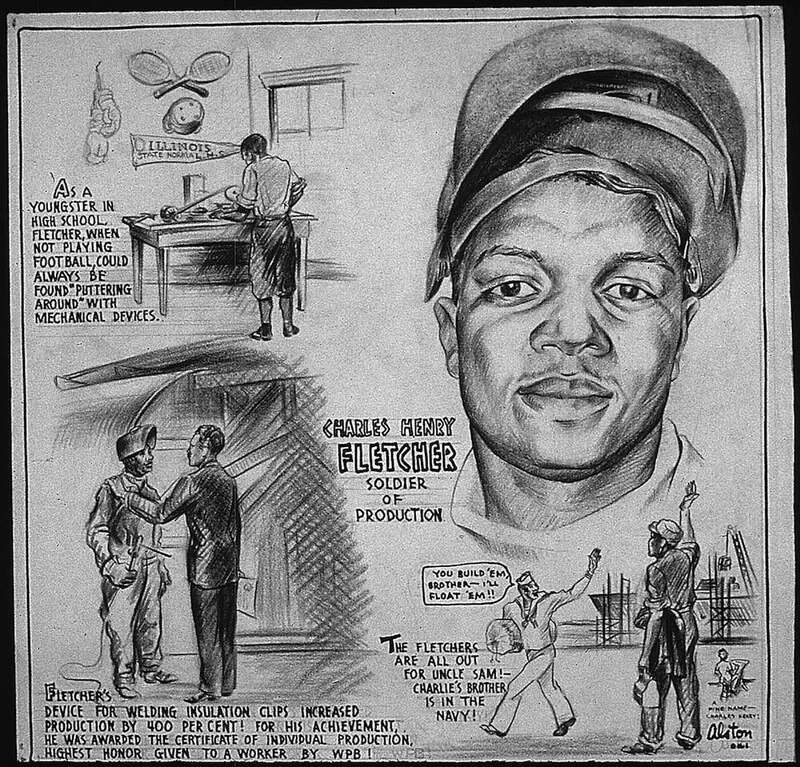 Black artist Charles Alston produced these mockups of cartoons for the Office of War Information during World War II. The finished products were sent to black newspapers for publication, and were meant to urge their readerships to support the war effort. Alston’s other nonbiographical cartoons illustrated standard Office of War Information exhortations to conserve needed commodities, enlist, and buy war bonds. This group of cartoons about high achievers carried a message aimed specifically at the black community, developing an argument that black people should be proud of their heritage, and should therefore feel invested in the project of defending the country. At a time when black activists were pursuing the Double V campaign, demanding civil rights advances at home alongside victories abroad, Alston’s work for the government was more blandly celebratory, noting past achievements of individuals rather than asking for change in the future. Alston, born in 1907, was a New Yorker who lived and worked in Harlem. 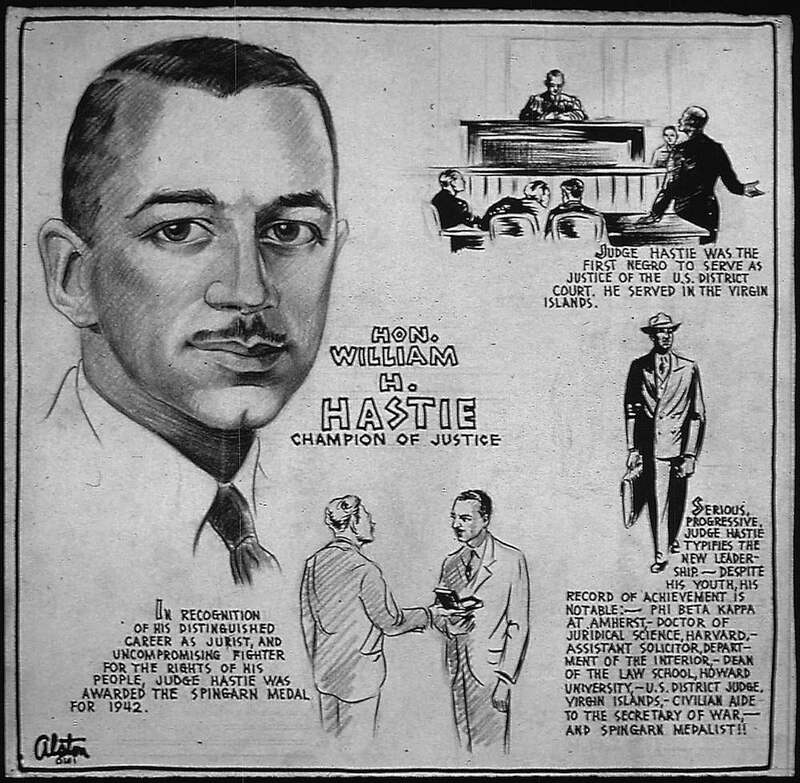 As a graduate student at Columbia, he designed a cover for a Duke Ellington album and book jackets for Langston Hughes and Eudora Welty. He taught and mentored young artists, and his students included the painter Jacob Lawrence. During the Depression, he directed a team of artists who painted murals in Harlem Hospital, bankrolled by the Federal Arts Project. After his year of working for the OWI during the war, he continued his career, combining commercial work for magazines and newspapers, teaching, and fine-art painting and sculpture. Alston’s choices of admirable black Americans juxtapose well-known stars (Sgt. Joe Louis, Frederick Douglass, George Washington Carver, a pre-HUAC Paul Robeson) with lower-profile achievers working in the law, publishing, academia, the arts, and science. Charles Alston, “Elvin Bell,” 1943. 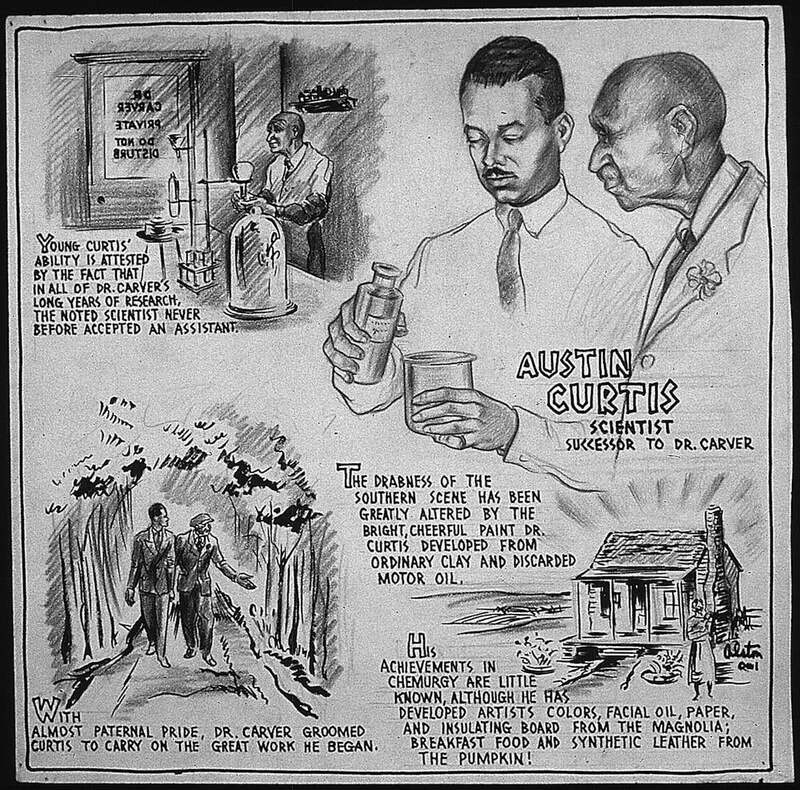 Charles Alston, “Austin Curtis,” 1943. Charles Alston, “Charles Henry Fletcher,” 1943. Charles Alston, “Lieut. 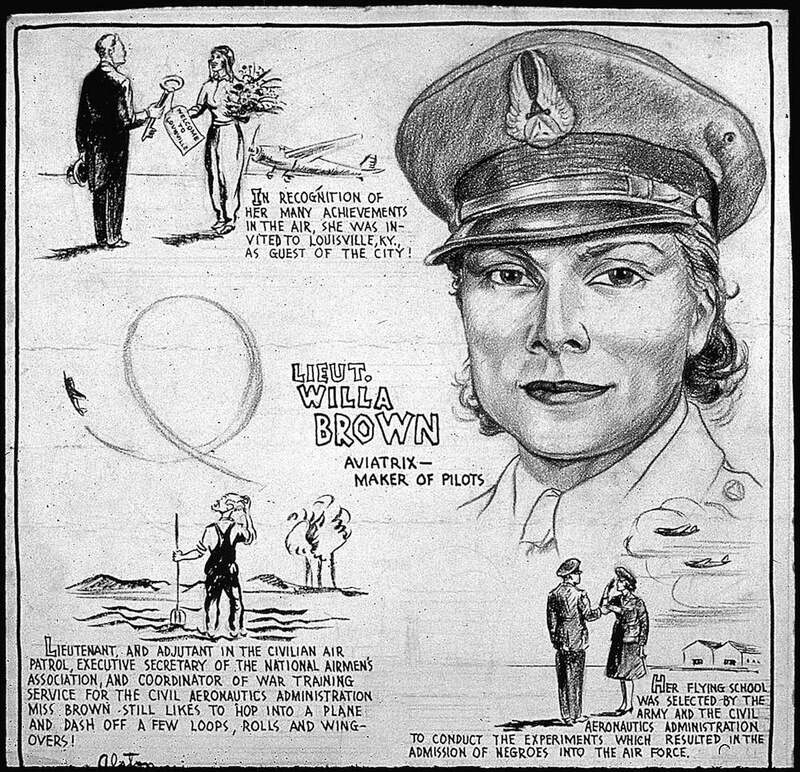 Willa Brown,” 1943. 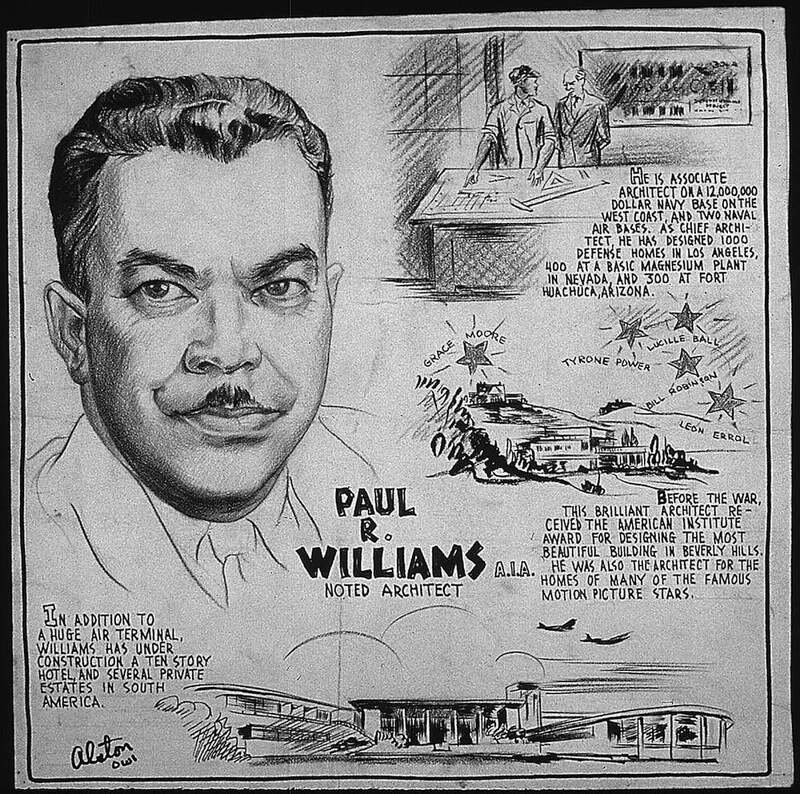 Charles Alston, “Paul R. Williams,” 1943. Charles Alston, “Hon. William H. Hastie,” 1943. Charles Alston, “Dr. 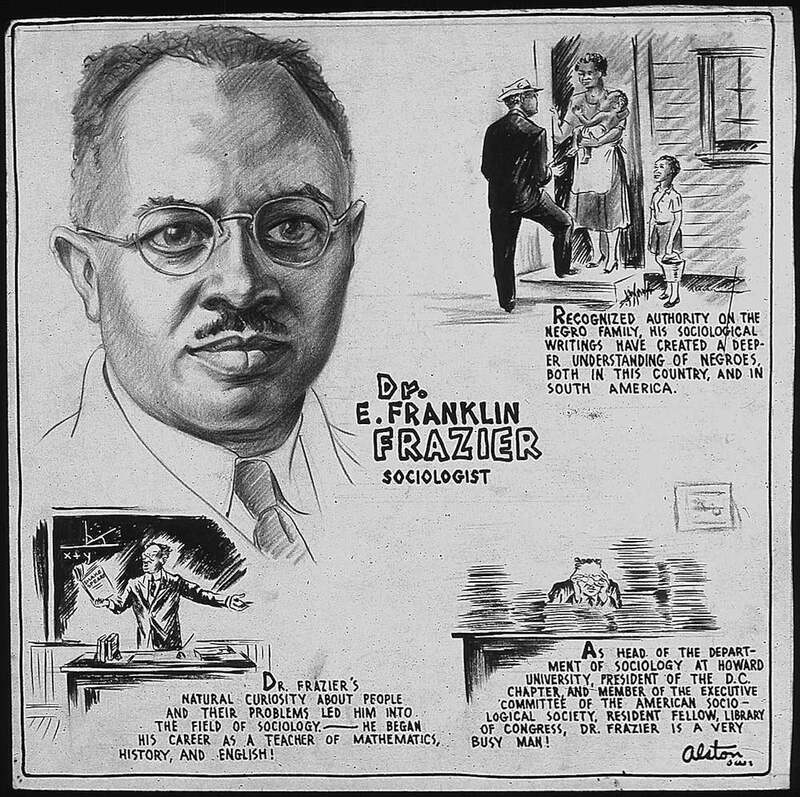 E. Franklin Frazier,” 1943. 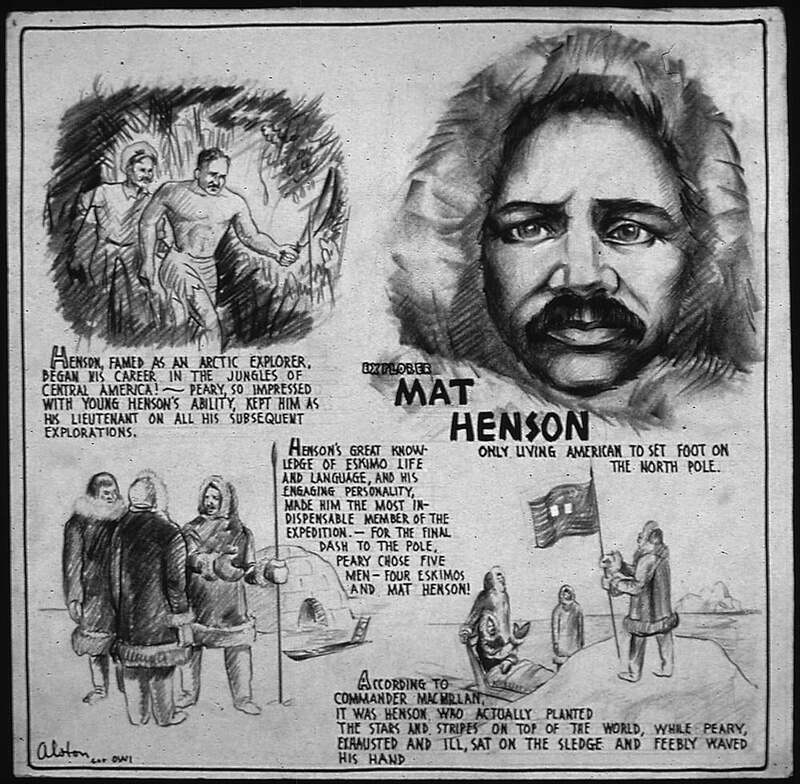 Charles Alston, “Explorer Mat Henson,” 1943.